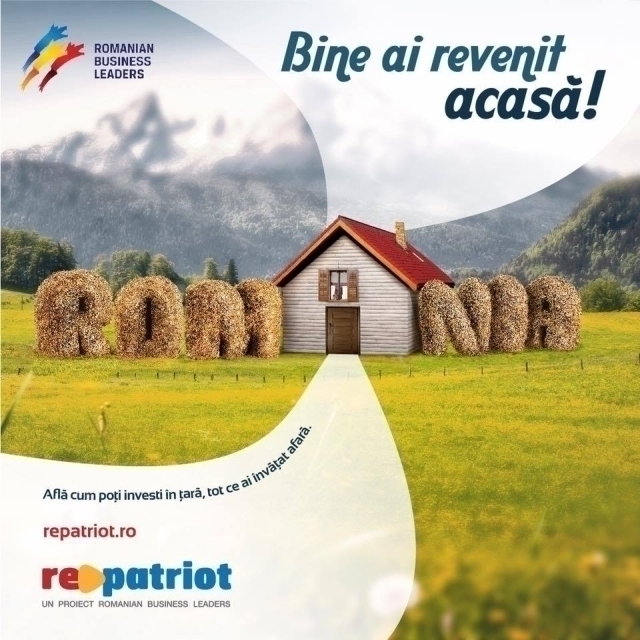 A site has also been created for the project, www.repatriot.ro, which presents successful stories and offers details on business opportunities. In turn, the Romanian Government also grants support to the Romanians in the diaspora who want to start a business in Romania. The Ministry of European Funds and the Foreign Ministry, through the Department for Policies on Relations with Romanians Abroad, have declared open the process of registration for the "Diaspora Start-up" Program, which receives a 30 million Euro allocation under the Human Capital Operational Program. In a first stage, entrepreneurial scheme administrators are invited to submit project proposals worth a maximum of 5 million Euro, with their commitment to training and counselling future entrepreneurs and providing them with subsidies to start a business in this country. A prerequisite is to strike a partnership with an entity of the Romanians in the diaspora. Project proposals can be submitted by November 29. In a second stage, eligible Romanian citizens willing to set up a company, can access funds amounting to a maximum of 40,000 Euro and can take part in e-learning entrepreneurial training programs, provided by entrepreneurial scheme administrators. Romanian citizens, aged over 18, who can prove that they have been residents or domiciled abroad for a minimum of 12 months and want to start a business in Romania are eligible. The diaspora organizations interested in the program are invited to send their contact data, until October 30th, 2016 to diaspora@mae.ro, to be included in a list to be made available to entrepreneurship scheme administrators.